Moving is a sure way to shoot down nostalgia road, but for artist Kyle Brooks, it led to a much larger discovery than embarrassing photos. 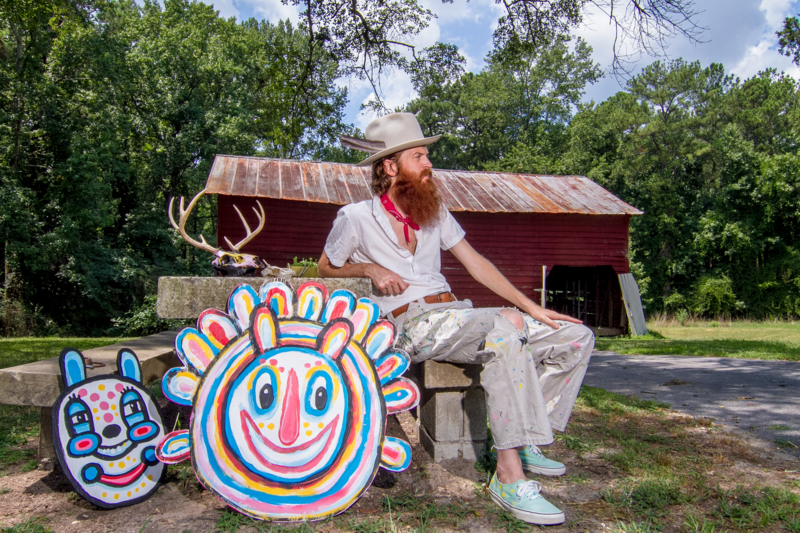 While packing up his Southeast Atlanta home, the folk artist better known as BlackCatTips rediscovered his grandfather’s old journals. Brooks kept them in a box since his pop’s passing in 2008 but never actually sat down and read through them until a recent move. Brooks unearthed moleskine-type journals with yellowing pages and Almanac-esque notes about the weather. “He had funny little handwriting but it was all very organized,” Brooks says. Literal pages from these found books propel a new BlackCatTips show, Just South of Love, an ode to his grandfather. For Just South of Love, Brooks pulls specifically from his grandfather’s weather-themed journals. The show includes old and new pieces to be installed together in the newly renovated Art Institute of Atlanta gallery space, with many highlighting their almost identical funny sayings, according to Brooks. Brooks says he finds the show cathartic. He’s moved to the magical area of Arabia Mountain and is still recovering from the draining process. But with moving comes a new art studio and Brooks says he has already broken it in by working on art for the show. In the end, Brooks hopes attendees laugh and find joy when they come to the show, just as much as he did when working on it.